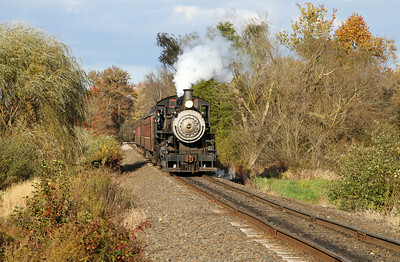 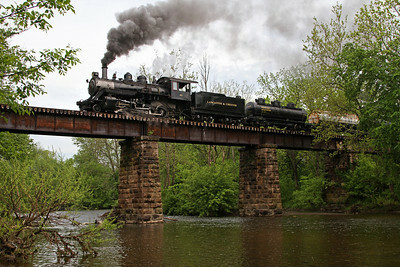 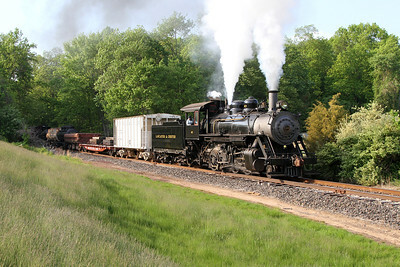 Photos from 2005-2013 featuring Lancaster & Chester 2-8-0 #40 (Baldwin built 1925) with passenger and freight trains in Bucks County, Pennsylvania. 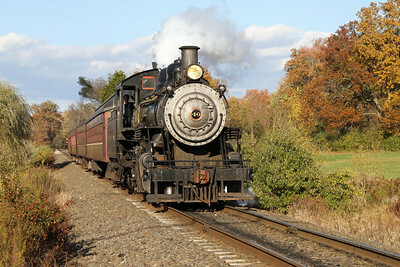 The 17-mile route was built in 1891 as the Reading Railroad's New Hope Branch. 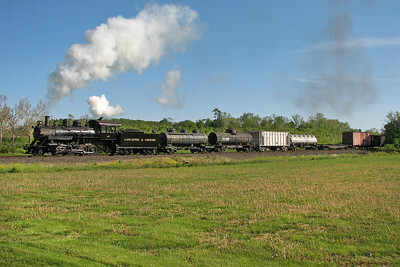 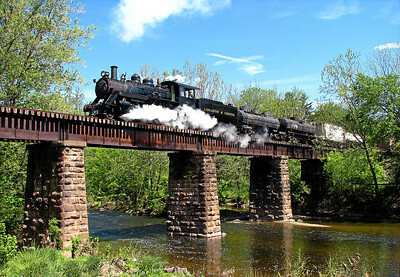 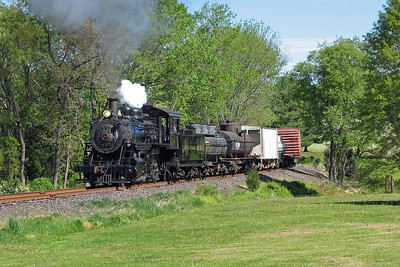 A group of railroad enthusiasts purchased the line from the Reading in 1966 and began steam excursions and shortline freight service. 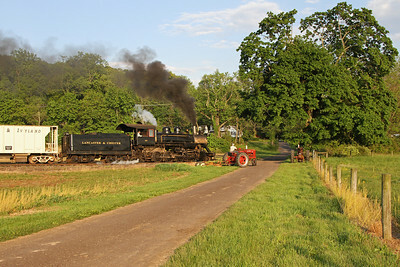 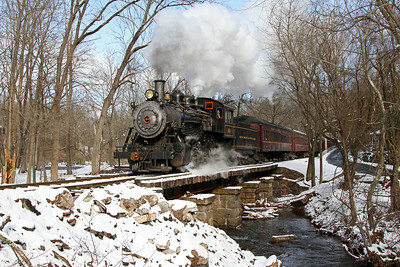 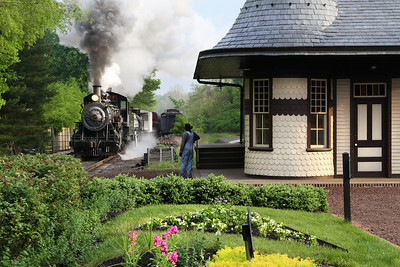 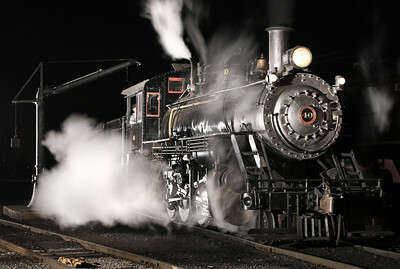 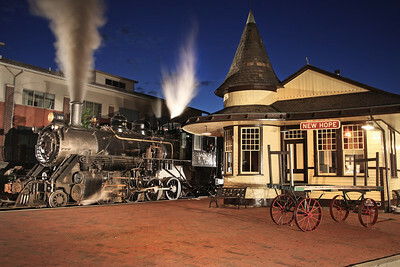 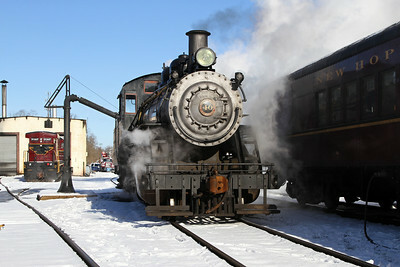 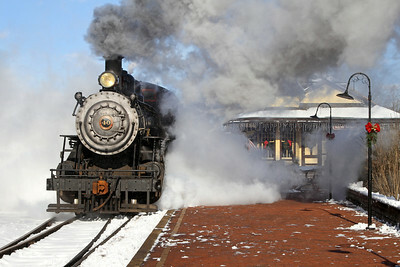 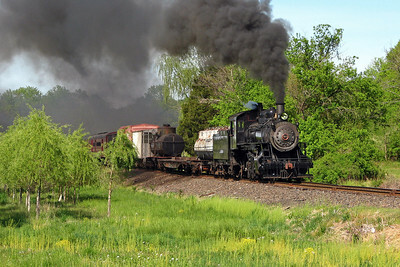 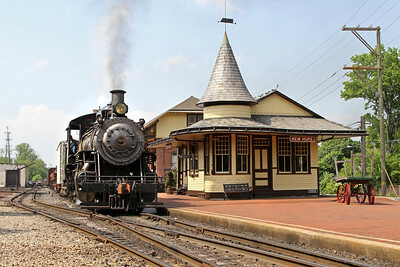 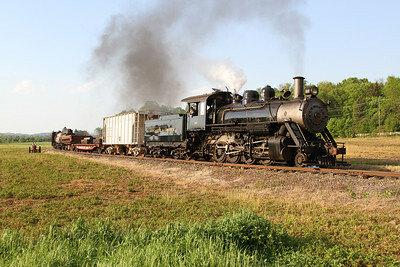 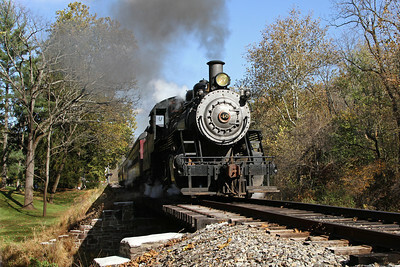 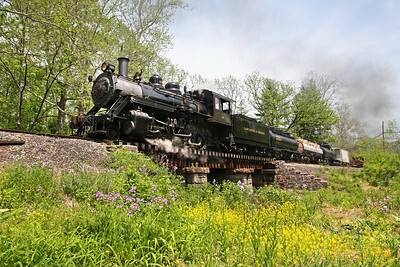 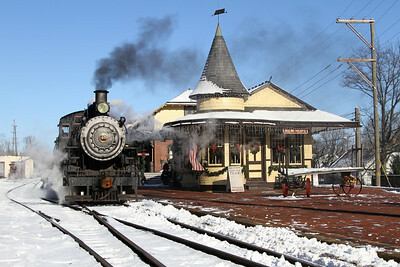 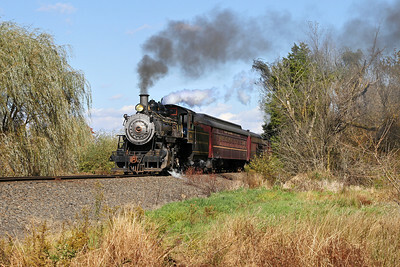 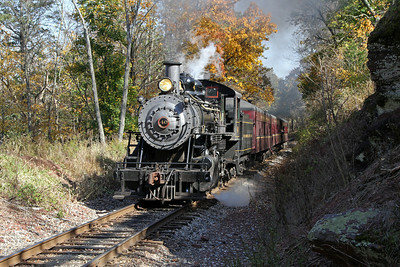 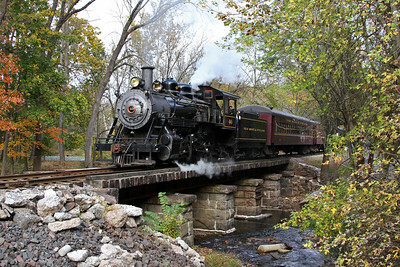 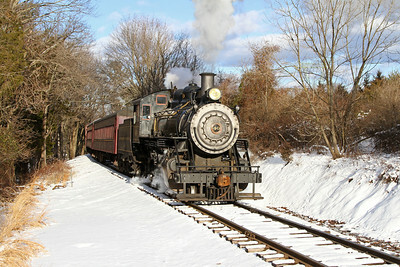 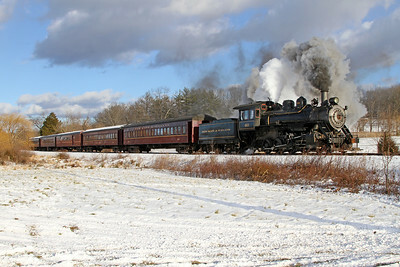 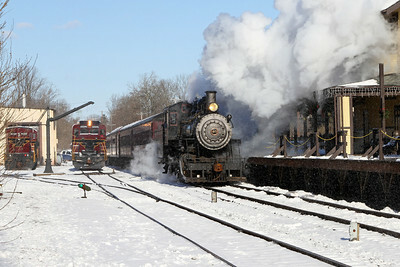 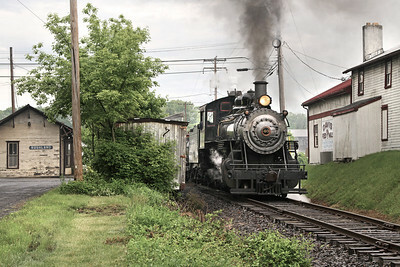 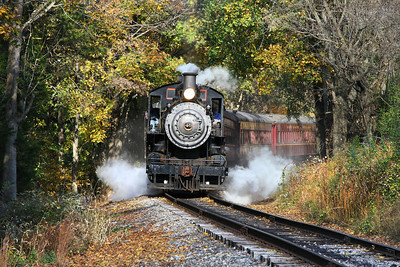 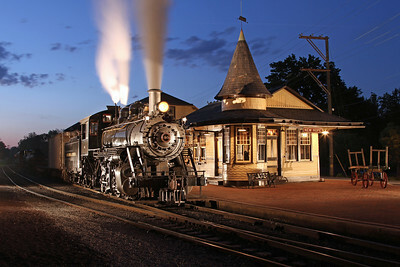 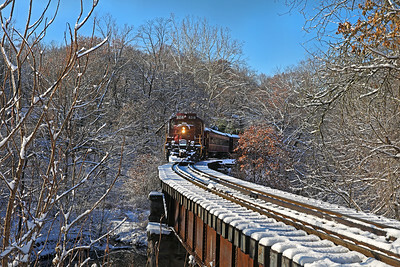 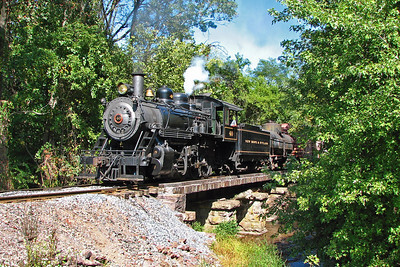 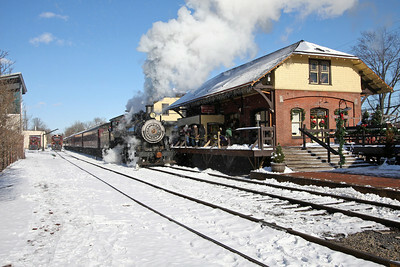 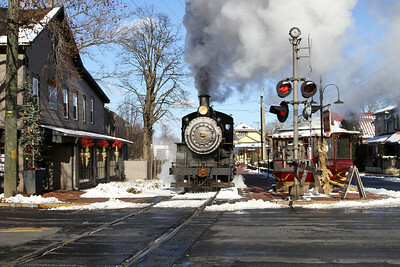 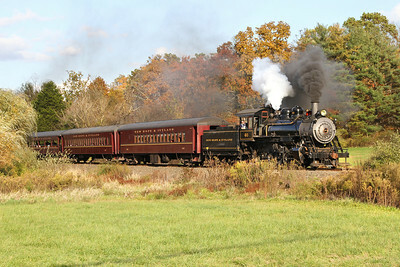 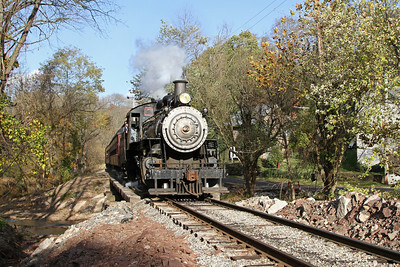 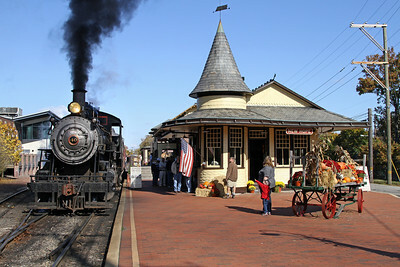 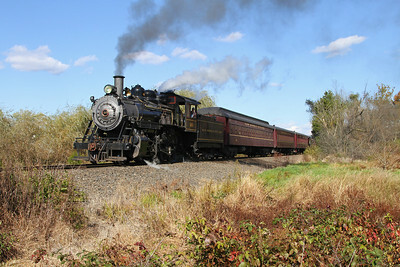 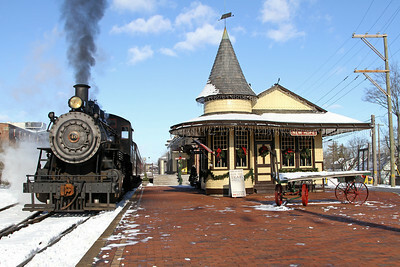 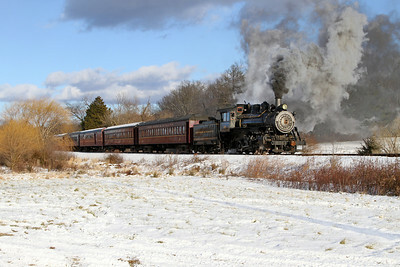 Today, excursions operate daily from the original 1891 depot in downtown New Hope. 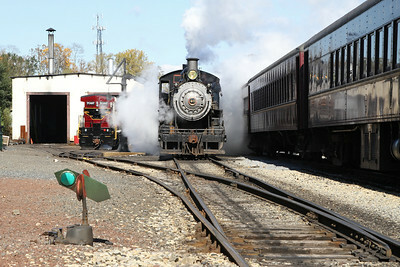 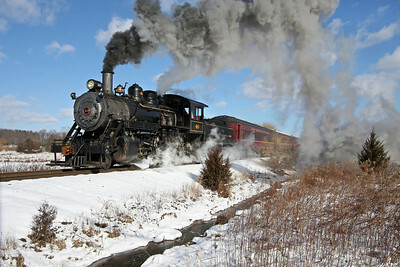 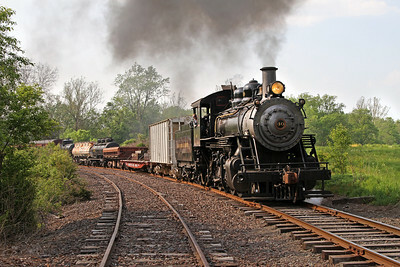 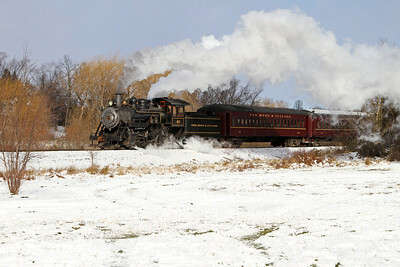 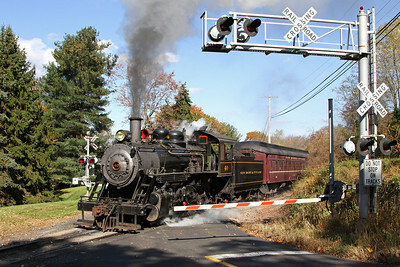 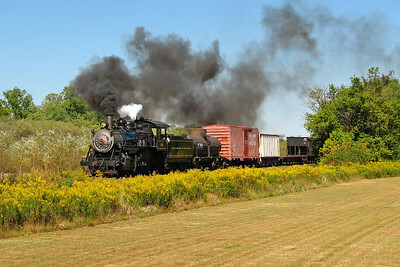 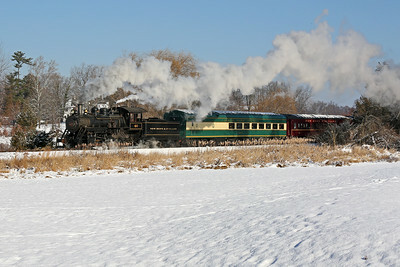 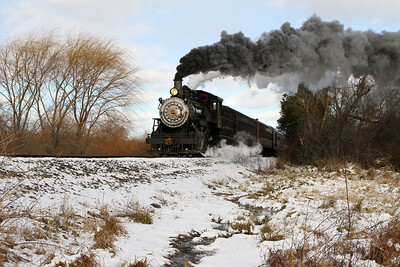 For details, visit the New Hope & Ivyland Railroad Website.